PennsylvAsia: HCL Technologies hiring Bilingual Japanese Query Understanding Analyst for position onsite at Google. 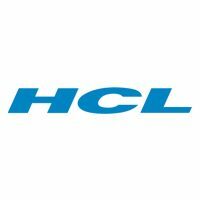 HCL Technologies hiring Bilingual Japanese Query Understanding Analyst for position onsite at Google. Bilingual Japanese Query Understanding Analyst is a full-time job through HCL America, Inc. onsite at Google Pittsburgh. You will work to enhance users’ online shopping experience by performing in-depth product research, analyzing the user query stream, and improving query classifier performance using highly technical internal tools and processes. It is part of a fast-paced environment, partnering closely with operations and engineering teams. Native or near-native Japanese reading/writing fluency is preferred and spending significant time living/working in the Japanese culture is a plus. ● Research product spaces to identify areas of improvement in query understanding. ● Generate training and evaluation data for the query classifier and query parser. ● Write short scripts to improve the performance of the query classifier and query parser. ● Analyze and fix gaps in query classifier performance. ● Evaluate attributes and fine grained concepts mined from the query stream. ● Develop deep expertise in the Google product taxonomy. ● A Bachelor’s degree preferred with a strong academic record. Master’s degree a plus. ● Strong computer and internet navigation skills and natural comfort with technology. Ability to learn technical processes quickly. ● Current cultural knowledge and/or working knowledge in the Japanese community is preferred. ● Experience with online shopping. ● Background in linguistics or other field involving textual analysis and information organization.